Dr. Stephen R Marano, MD is a Doctor primarily located in Idaho Falls, ID, with another office in Idaho Falls, ID. He has 39 years of experience. His specialties include Neurological Surgery. He speaks English. The overall average patient rating of Dr. Stephen R Marano is Good. Dr. Stephen R Marano has been rated by 5 patients. From those 5 patients 1 of those left a comment along with their rating. The overall rating for Dr. Stephen R Marano is 3.2 of 5.0 stars. He quickly realized the issue was not my spine but my hip, yet ordered an x-ray to be sure (it was). Apart from the cost of the x-ray, he charged $170 if we paid in full at the time of the visit simply for telling us he can't the problem (which he had someone else do). Then 5 months later, we got a bill from him saying we hadn't paid and we had to show proof of payment and so he wasted our time initially at the visit so he could up the billing amount and then he took up a few hours of my time 5 months later while I searched for the receipt to prove I paid the office. Take a minute to learn about Dr. Stephen R Marano, MD - Neurological Surgery in Idaho Falls, ID, in this video. Dr. Stephen R Marano is similar to the following 4 Doctors near Idaho Falls, ID. 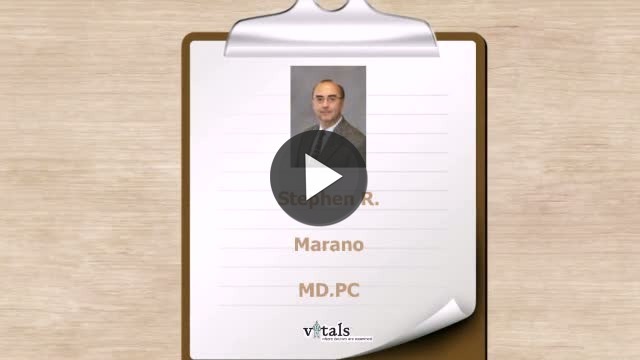 Have you had a recent visit with Dr. Stephen R Marano? Select a star to let us know how it was.